This four-part series of articles was written by Burak Bekdil, a fellow at the Middle East Forum, between July 16 and August 30, 2014. The late Israeli Prime Minister Golda Meir famously remarked, "Peace will come when the Arabs love their children more than they hate us." 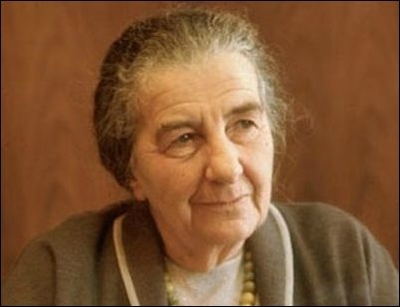 "Why Golda Meir was right" – parts I and II (Aug. 23, 2011 and March 7, 2012) and their sequel, "Sorry to remind you again [but Golda Meir was right]" (Nov. 23, 2012) lured into my inbox dozens of what any sensible legal text would view as hate mail. Angry Turks and other Muslims were, in fact, unwillingly confirming what they protested. I knew the "sequel" would not be final. 1. Last month, when there were no bombs and rockets travelling between Israel and the Hamas-controlled Gaza Strip, three Israeli teenagers, Gilad Shaar, Eyal Yifrach and Naftali Fraenkel, were kidnapped. Eighteen days later their bodies were found. 2. The kidnapping was a cause for celebrations in Gaza where crowds cheered. Palestine's experimental unity government handed out sweets in celebration. Palestinian youths brandished a new salute, raising three fingers and showing joy at the kidnapping. Hamas' political leader, Khaled Mashal, also Prime Minister Recep Tayyip Erdoğan's ideological next of kin, said: "We congratulate the kidnappers." 3. After the killing of the Israeli teenagers, a young Palestinian, Muhammad Abu Khdeir, disappeared, but was later found to have been brutally murdered. Israel acted quickly and arrested six radical Jews as perpetrators, three of whom confessed to their crime. Israel labeled the murderers as murderers. Prime Minister Benjamin Netanyahu called Khdeir's father to offer him condolences. Strong expressions of condemnation were heard across the political spectrum, including from Rachel Fraenkel, the mother of Naftali, one of the murdered Israeli teenagers. Israelis had woken up to a new world in which Jews, too, could act like terrorists. Most Israelis agreed that the murderers should get the most severe punishment for their barbaric act. The father of one of the suspects said: "I am ashamed of him." 5. Meanwhile, Hamas spokesman, Sami Abu-Zuhri said: "All Israelis are legitimate targets." What would the Palestinian death toll be if Mr. Netanyahu's spokesman declared all Palestinians as legitimate targets? But no, the cliché and boring underdog nation romanticism tells us Israel should not respond when under rocket attack because it is capable of intercepting the rockets. But would, for instance, Erdoğan, who thinks a 15-year-old boy is a terrorist and should be shot by a gas canister, tolerate over 500 rockets over Turkish skies? Would he advise restraint if any group, party or country declared that all Turks are legitimate targets? Would he ignore it if any group, party or country pledged to fight down right to the last Turk? But he has finally exhibited some honesty and admitted that: "We are never neutral when it comes to the Palestinian cause." Thank you, prime minister, for confirming this columnist when he wrote in 2009 that Turks as honest brokers between Arabs and Israelis sounded much like Greeks as honest brokers between Turkish and Greek Cypriots. All the same, Mr. Erdoğan's rhetoric was not equally honest when he said, "there were no rockets fired into Israeli territory because there were no Israeli deaths." Was Mr. Erdoğan denying Hamas, who says it happily fires scores of rockets? The fact that there are no Israeli casualties does not mean Hamas does not want to kill; it just means Hamas, for the moment, cannot kill. "But why do the Turks have the 'Palestine fetish' even though most of them can't point the Palestinian territories out on a map? Why did they not raise a finger when, for instance, the mullahs killed dissident Iranian Muslims? Why did the Turks not raise a finger when non-Muslim occupying forces killed a million Iraqi Muslims? Why did we not hear one single Turkish voice protesting the deaths of 300,000 Muslims in Darfur? … Subconsciously (and sadly) the Muslim-Turkish thinking tolerates it if Muslims kill Muslims; does not tolerate it but does not turn the world upside down when Christians kill Muslims; pragmatically ignores it when too-powerful Christians kill Muslims; but is programmed to turn the world upside down when Jews kill Muslims." But Yıldız Tilbe, the Turkish-Kurdish pop star, is apparently less patient than waiting for the moment when the trees and stones will guide Muslims to the last standing Jew so that they can kill him. Hers is a nostalgic, probably too-difficult-to-fulfill wish, unless Arabs, Turks or her Kurdish kin invent the time machine. 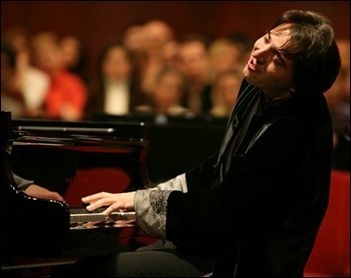 Renowned Turkish pianist Fazil Say was sentenced to 10-months in prison (suspended) for re-tweeting quotes attributed to the 12th century Persian polymath Omar Khayyam. This is contagious. When, in society and politics, an abnormal practice becomes the norm, the abnormal becomes "the new normal." Take anti-Semitism in Turkey, a craze becoming increasingly as trendy as the 'selfie,' and mixed up with opportunism. It can come from a bureaucrat who wants to win promotion; from a pop star who wants to look charming to the government to boost his or her popularity; from a corporate employee who wants a better position or salary. Or it can come from a politician who wants to address the largest possible chunk of the voter base. According to Prime Minister Erdogan, Israel, with its offensive on Gaza, which has killed more than 2000 people, "has gone beyond Hitler." Mr. Erdogan knows that 2000 is not greater than 6 million. So what makes him think that the death of 2000 Palestinians is "genocide" but the killing of hundreds of thousands by his good friend Omar al-Bashir in Sudan was not genocide? Well, Mr. Erdogan once explained that Muslims don't commit genocide. Good. 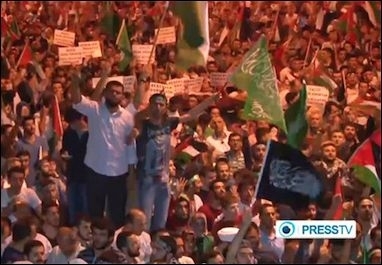 Anti-Israel protesters in Istanbul are shown waving the flags of Hamas and the PLO, as well as the black flag of jihad, July 19, 2014.